Hello. Thank you for calling in today. 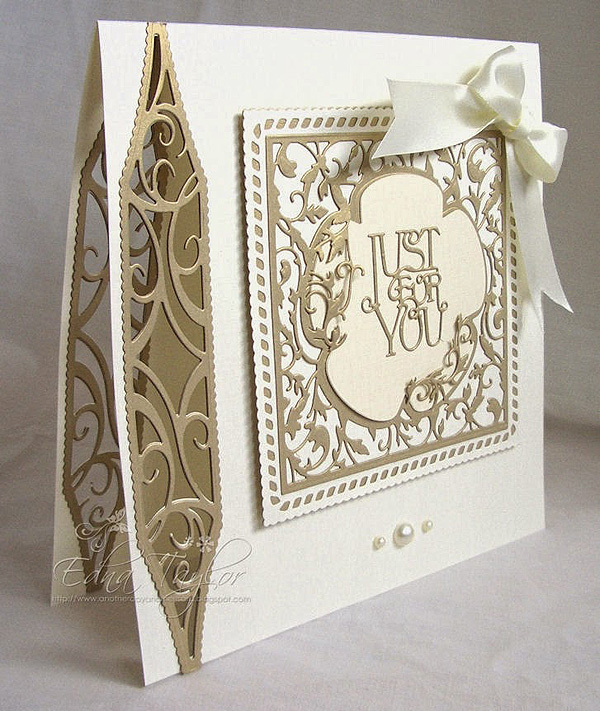 I have another sample card to share today using one of the new Tonic Strip dies. A sideways view - I cut the strip die into the card on the back and front. 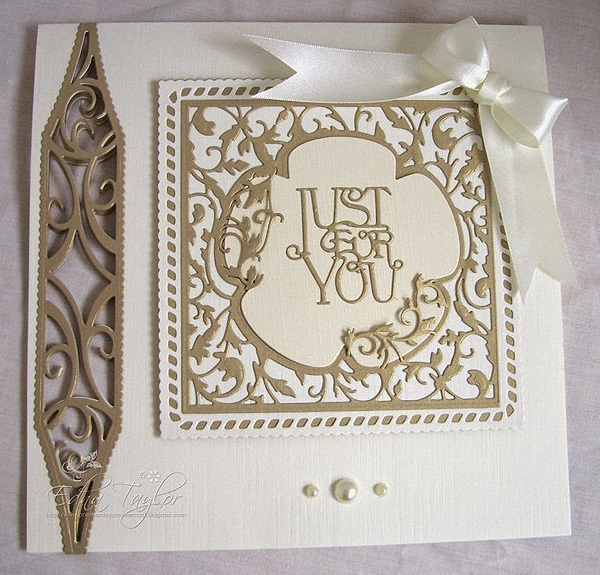 I then cut four complete strips in the antique gold so that I could layer them over the design and give the card a bit more stability. 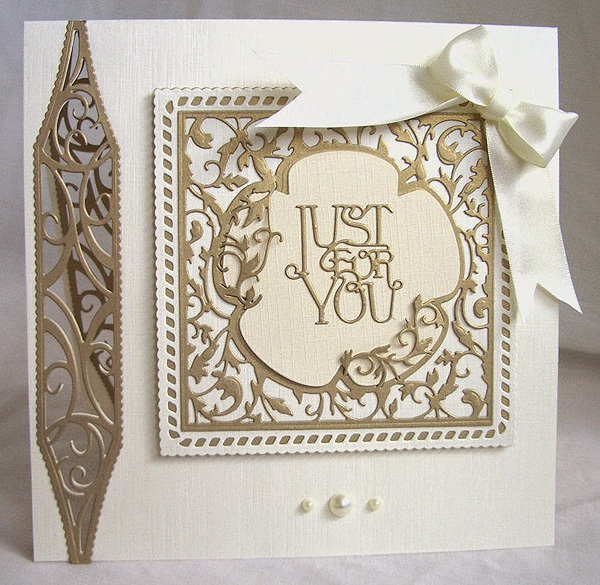 The centre panel was raised onto 3D foam and I finished the card with an ivory satin bow and some pearls.